Wisconsin Football Season Preview: Offense « Roll Out the Quevedo! As part of the ROTQ staff gathered to discuss the upcoming season. Many were shocked when I called for a nearly unblemished record for this football team. They have a favorable schedule, that includes a tough non-conference foe, Arizona State at home, along with the all important Ohio State game in October. The road schedule is fairly kind with tough tilts at Michigan State and Iowa. Offense: this team has the potential to be outstanding on offense. Some publications are calling this offensive line the best in the Big Ten and one of the elite units in the nation. The group has a little of everything, star power, talent, depth, and experience. Star Power: Gabe Carimi is in the eyes of many the best draft eligible left tackle prospect playing college football. Talent: we’ve been waiting, is this the year? Josh Oglesby came to Madison with the reputation as the nations top prep lineman, he has prototypical skills, but was called out by coaches this spring for an uneven performance. Depth: where to begin…there are 5 guys who started games last year inside. The coaches have noted they would be comfortable with nearly any combination of those five…this publication anticipates the recently healthy Peter Konz at center flanked by John Moffit and Travis Frederick. Experience: seniors and guys who have started a boatload of games. Lastly the groups size. It is a typical UW line, massive and powerful. I expect this group to wear down a lot of defenses this year…can they wear down OSU and Iowa’s formidable DL? The offense is loaded with skill talent. Nick Toon and John Clay figure to land on everyones all Big Ten teams. Lance Kendricks superb performance in the Miami game has led many to believe that he’s the next great UW tight end. 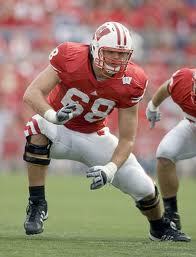 Since Paul Chryst has arrived UW has become TE-U sending Owen Daniels, Travis Beckum, and Garrett Graham to the NFL. Is Kendricks next? The issue is who will run with him in the UW two TE set? There are intriguing candidates in Brian Wozniak and Josh Byrne, but the most intriguing might be true freshmen Sherad Codagan and Mannesah Garner. Both of these frosh are ultra athletic with the ability to stretch defenses, one or both could become a receiving threat in 2010. The key to the offense is undoubtedly Scott Tolzein. The team will run effectively, the quest for Tolzein–to play fewer games like the OSU game. 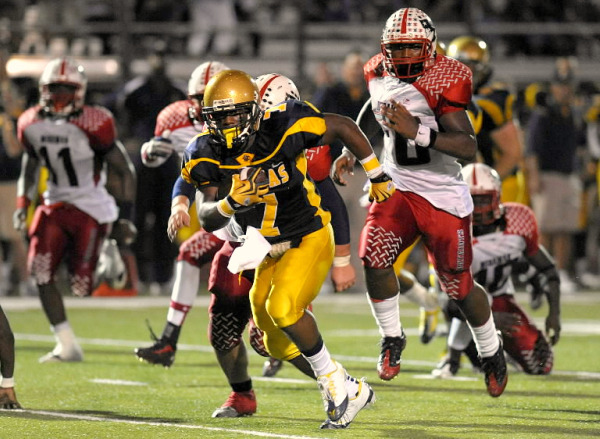 When he is on, he is terrific, however he struggled several times last year and the offense stalled. He has a mastery of the offense and should be more comfortable in his role this year. I believe he is poised to be the leagues second best signal caller behind Terrelle Pryor. Can Clay repeat as the Big Ten's offensive player of the year? Offensive players to watch: skipping the household names, here are three names who could make UW’s offense exceptional. 1. James White: Montee Ball figures to be John Clay’s backup, but James White is that type of back UW has been searching for since Brian Calhoun left; a burner. White played on one of the nations top prep teams sharing reps with a Clemson recruit, he has big time speed and some wiggle to boot. Can James White be Terrell Fletcher in 2010? 2. Peter Konz: his play last year was a big reason for UW’s success. He is cerebral and made sure everyone was in the right spot. His stablizing influence was missed during his absence from blood clots. He is healthy and unrestricted in his activities. His return could be a big boost and could allow the powerful Travis Frederick to play guard. 3. David Gilreath: foot injuries robbed him of the better part of two years. He played but lacked the explosiveness we saw early. Paul Chryst is a master at getting players in space. Gilreath in space could be a big boost to this offense. Overall: this group has everything you need. They have a great OL, terrific all conference skill players, a horse of a running back, and a senior to lead them at QB. UW’s offense figures to be the Big Ten’s best and one of the nations finest.